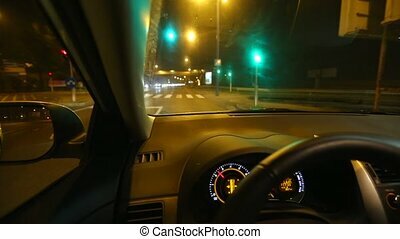 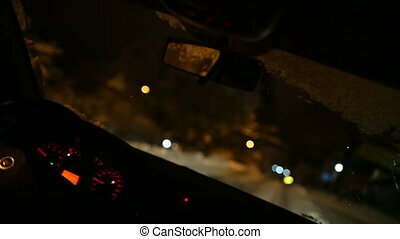 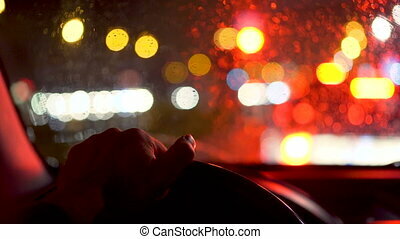 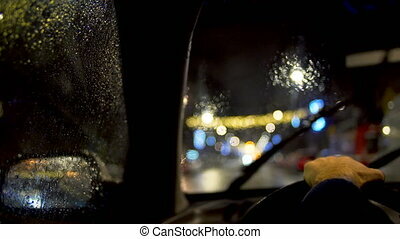 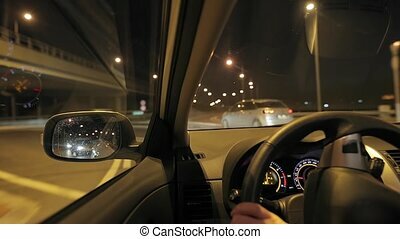 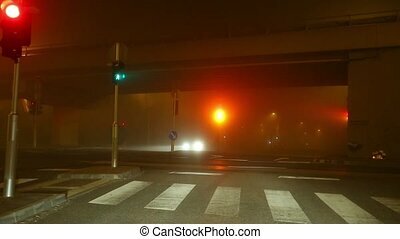 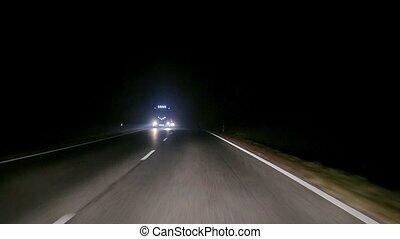 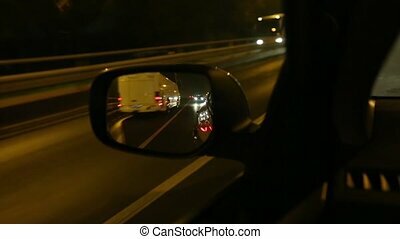 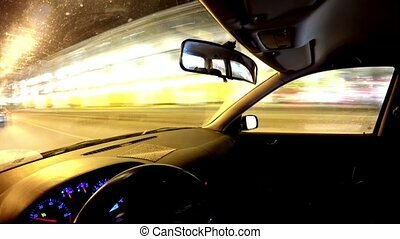 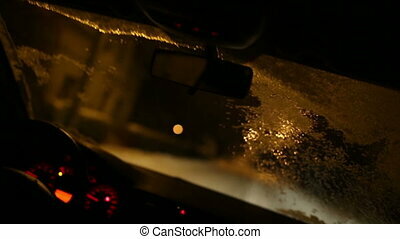 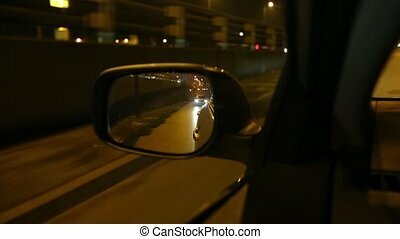 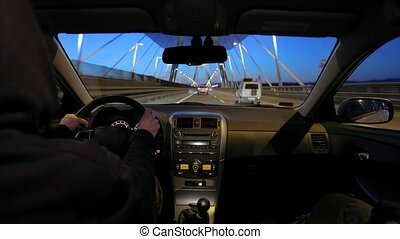 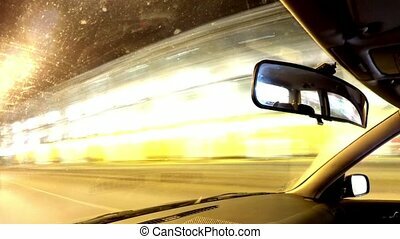 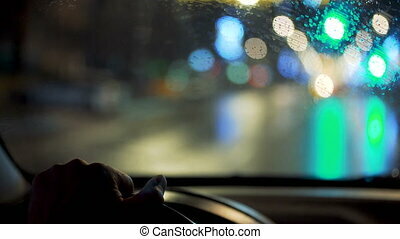 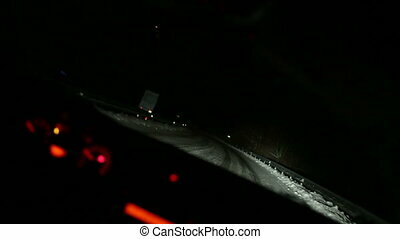 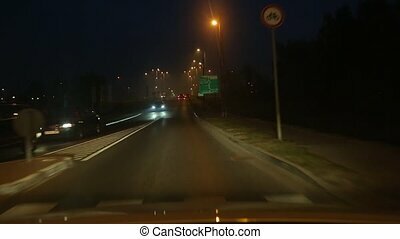 Driving a car at night on a highway bridge. 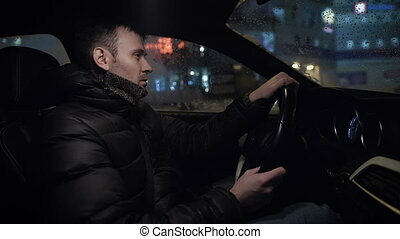 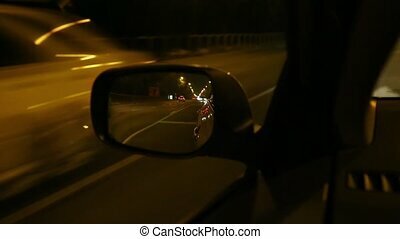 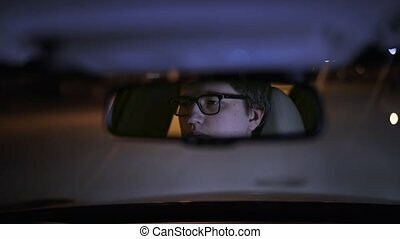 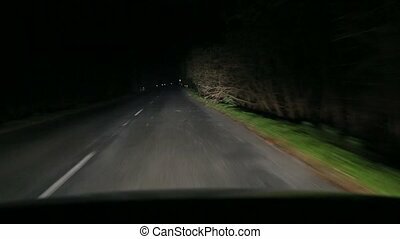 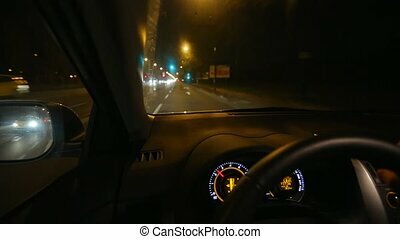 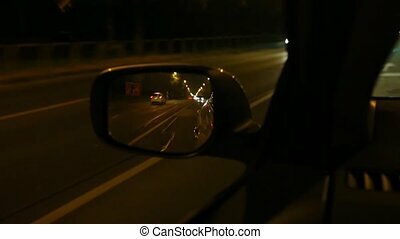 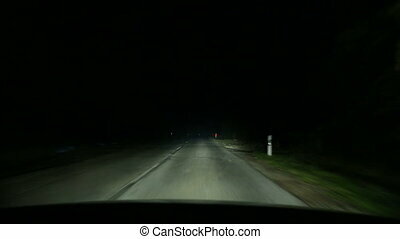 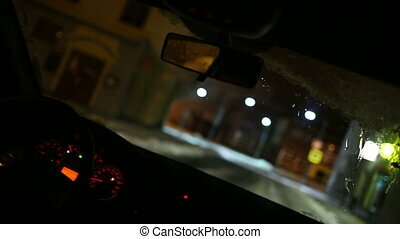 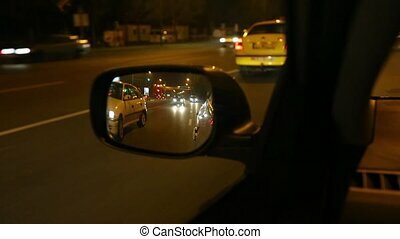 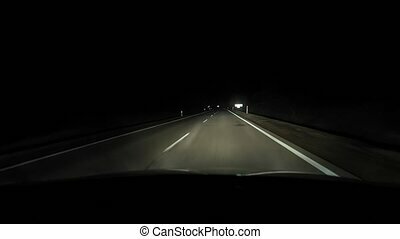 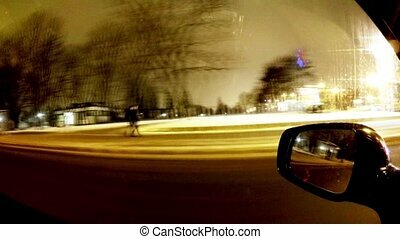 Someone driving a car at night in country. 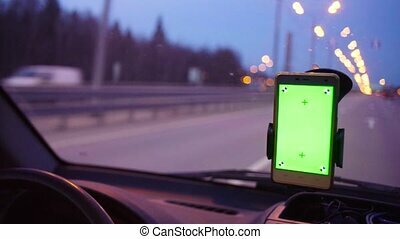 Smartphone with a green screen in the holder on the windshield. 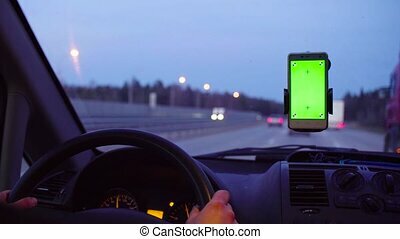 Hand of a driver from time to time scrolling the smartphone.